Stealers Wheel were formed in 1972 when Gerry Rafferty (1947 – 2011) and Joe Eagan decided to get together with Rab Noakes, Roger Brown and Ian Campbell. Rafferty and Egan had been friends since their teens in Paisley where they grew up. The school mates played in several local bands including The Sensors and The Mavericks before working as session musicians. Gerry joined the Humblebums with Billy Connolly in the late sixties but the duo broke up after recording a couple of albums. Gerry started a solo recording career and released the album Can I Have My Money Back? (Transatlantic, 1971). This met with little success and so he started the group. The original line-up of Stealers Wheel lasted only a few months and by the time the band was signed to A&M Records later that same year, Brown, Noakes and Campbell had been replaced by Paul Pilnick (lead guitar), Tony Williams (bass) and Rod Coombes (drums). 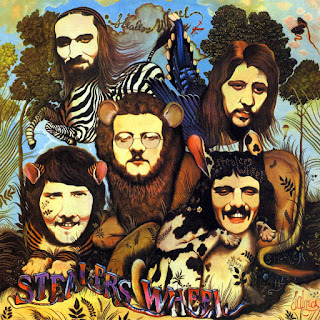 Their first album, Stealers Wheel was produced by Leiber & Stoller and contained the international chart topper "Stuck in the Middle with You". 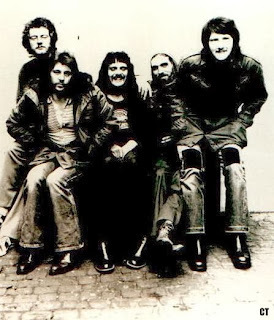 By the time the first album was released Rafferty had left the band to be replaced by Luther Grosvenor, who remained with the band for much of 1973 on tour. DeLisle Harper also replaced Tony Williams on tour. Gerry Rafferty was persuaded to return. However, Grosvenor, Coombes and Pilnick all left the band. With so many changes in the band's line-up they officially became a duo (Rafferty and Eagan), with backing musicians as needed on tour and in the studio. Later in 1973 the single "Everyone's Agreed That Everything Will Turn Out Fine" had modest chart success and, in 1974, the single "Star" reached the Top 30 of both the UK and US charts. A second album Ferguslie Park was released in 1974, but made little commercial impact. 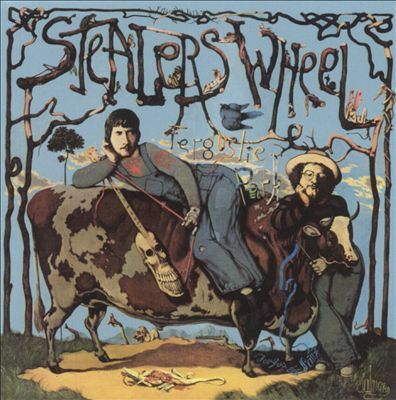 By the time Right Or Wrong album was released in 1975, Stealers Wheel had ceased to exist. 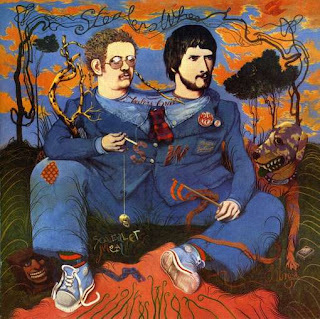 All three albums had sleeve designs by artist John Byrne. Map (1981) was his second album but was not a critical or commercial success. Joe left the music business and now runs a publishing company from home. Gerry went on to solo success and released a series of hit albums and singles. This is the music of the 70's, my youth and highlights the best Scottish Band of all time in their all to brief collaboration but led to my favourite album of all time Out of Nowhere by Joe Egan. As Mary Hopkin said "Those Were the Days"